Further from the population centers of the Eastern Seaboard, Southwest Virginia is a mountainous – and very beautiful – part of the state that begs to be explored and enjoyed by outdoor lovers. The opportunities are there, whether it be hiking to the highest point in the state, pedaling rugged mountain bike trails or picturesque rail trails, riding your OHV past overlooks and streams, backpacking remote highland pathways, floating bucolic, relaxing rivers and lakes, kayaking down raucous whitewater streams, or pitching your tent in an eye-pleasing wooded locale. Before we go any farther, where exactly is Far Southwest Virginia? It is the region of Virginia west of I-77 as it cuts north-south through Virginia between West Virginia and North Carolina. Far Southwest Virginia is the narrow swath of land projecting west like an arrowhead (or spearhead as it is also called), bordered by Tennessee, Kentucky, West Virginia, and North Carolina. It is a land of superlatives, harboring Virginia’s highest point – Mount Rogers – and Virginia’s most westerly point at Cumberland Gap. It has Virginia’s wildest whitewater, some the state’s most unusual rock formations, and the state’s closest ties to the culture of Appalachia. In that respect, the residents of Far Southwest Virginia are very friendly and welcoming — there to help you make the most of your forays into their region. The people of the region enhance the outdoor forests, parks, and preserves of Far Southwest Virginia. Recreation destinations here are dominated by the vast lands of Mount Rogers National Recreation Area and the Jefferson National Forest. Cumberland Gap National Historical Park stands tall, and numerous Virginia state parks from Breaks Interstate Park, known as the “Grand Canyon of the South”, to the intriguing Natural Tunnel State Park to lofty Grayson Highlands State Park preserve special places where we can seek outdoor recreation. And then there are the rivers – the North Fork Holston River is an erroneously overlooked first-rate fishing and floating stream. The Clinch River is one of America’s most biologically diverse waterways and is now being paddled throughout its length through Virginia. The upper forks of the Holston see their share of paddlers and the Russell Fork provides whitewater to challenge the best paddlers. We can’t forget the lakes of the region, highland-rimmed reservoirs that meld aquatic and montane scenery into one spellbinding picture. Pound Lake and Flannagan Reservoir are the two largest highland tarns, and there is the Virginia portion of mighty South Holston Lake. 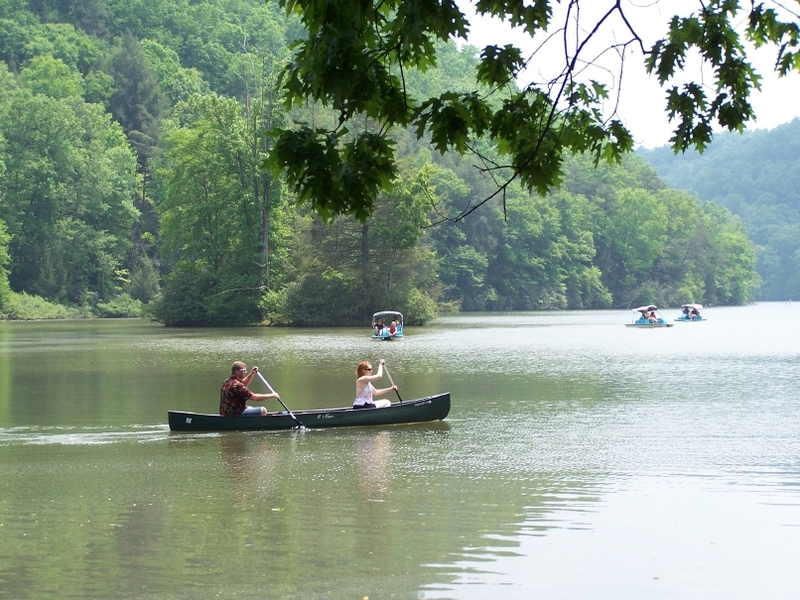 Smaller mountain-bordered waters are found at Hungry Mother State Park, High Knob Lake, and Bark Camp Lake. 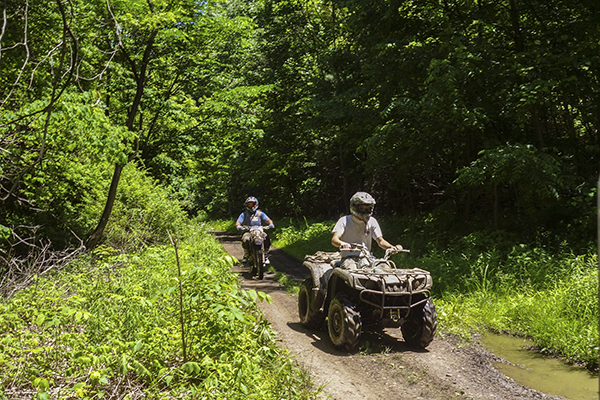 The following is an activity guide for Far Southwest Virginia with suggested hikes, bicycle trips, paddles, backpacking and camping destinations, and even OHV routes. Find your favorite activities to cobble together a Southwest Virginia adventure vacation to remember. Thousands of miles of hiking trails course through the region, with over 400 miles in Mount Rogers National Recreation Area alone. A full 110 miles of the Appalachian Trail roll through Far Southwest Virginia, adding long-distance hiking opportunities. Cumberland Gap National Historical Park presents paths to views, historical spots, and backcountry campsites. The Jefferson National Forests is laced with still more trails rolling atop ridges, along creeks, and to waterfalls. Virginia State park paths lead to rocks formations and highland meadows. Still other state forests and other entities have paths leading to vistas, deep woods, and geological wonders. In other words, there’s enough trails in these parts to keep visitors busy for a lifetime. Start at Daniel Boone Visitor Information Center parking area then take the Wilderness Road Trail up to Gap Cave and restored Cumberland Gap of Daniel Boone fame. 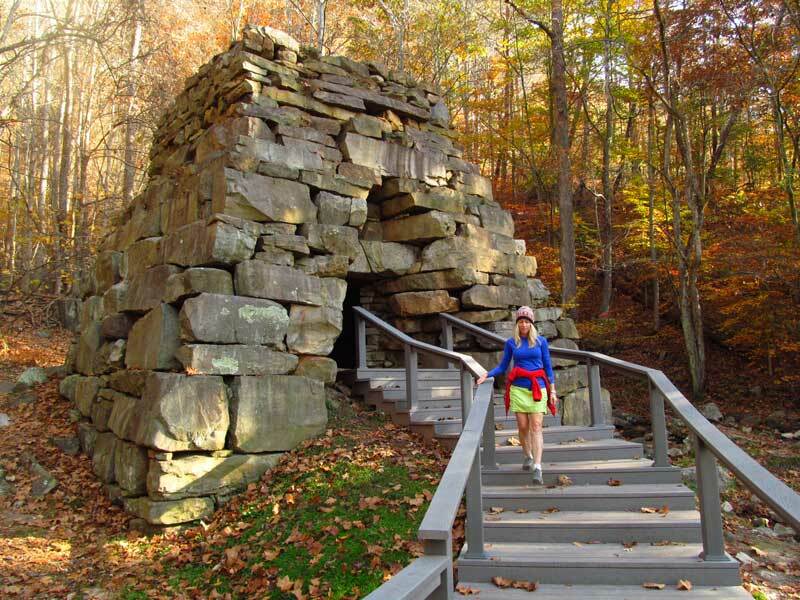 Note the memorial at Cumberland Gap, then backtrack and join the Tennessee Road Trail to see an intact Newlee Iron Furnace that operated from the 1820s to the 1880s. 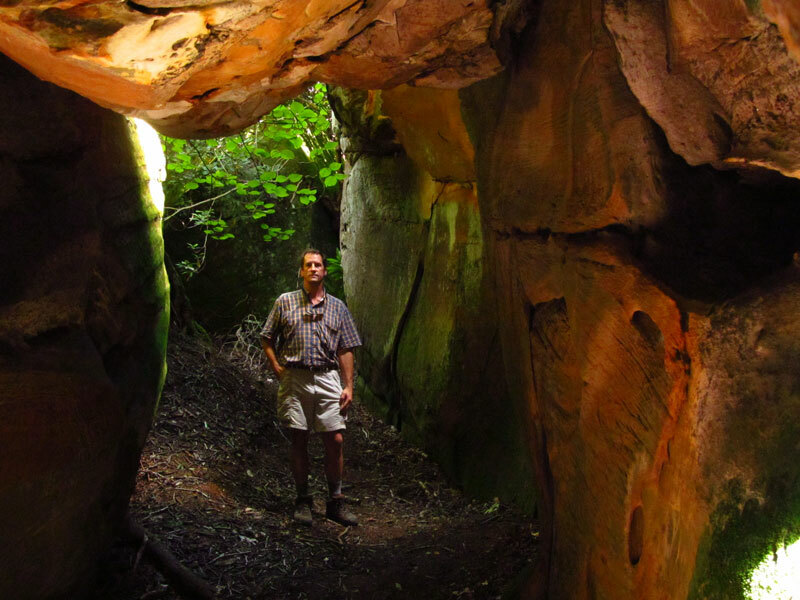 See the Natural Tunnel, an immense passageway through which Stock Creek flows. Trek along Stock Creek to see the 220-year-old Carter Cabin. Climb from the Stock Creek gorge then walk along its rim to gain rewarding views, culminating with a trip to Lovers Leap, where views can be had as well as a look at more stunning geology. This path traces Comers Creek — dropping steeply in small cascades and falls — into a rhododendron-choked gorge, then intersects the Appalachian Trail at .4 mile. To access the actual Comers Creek Falls, turn right on the AT and continue another .2 mile to view the cataract dropping about 15 feet in a stair step fashion. 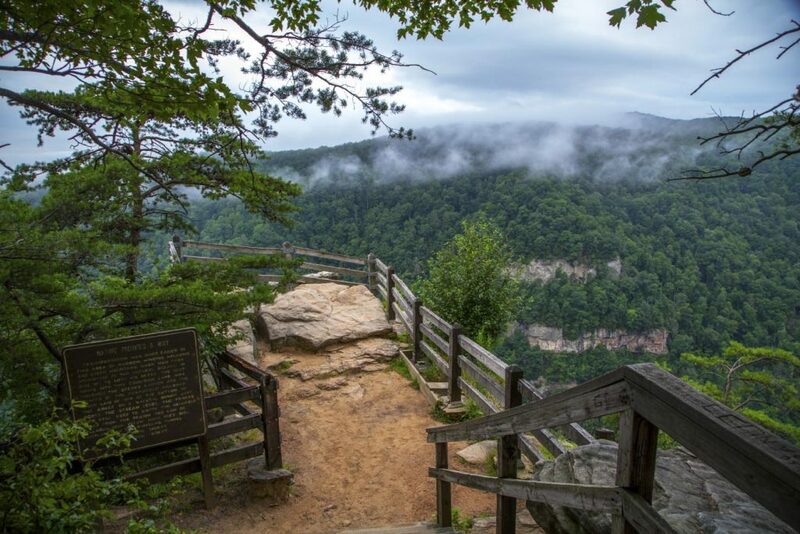 This path at incredible Breaks Interstate Park runs for ¾ of a mile along the edge of the gorge above Russell Fork, flowing 1,650 feet below. Views are inspiring and nearly continuous. You can either backtrack or make a loop using the Loop Trail and the Prospectors Trail. Take the Little Stony Creek National Recreation Trail up a gorgeous valley with waterslides, cascades, and pools in a deep gorge with stone bluffs, rock overhangs, and boulder fields. Wooden footbridges keep your feet dry en route to two significant waterfalls, each dropping over stone precipices. Your return trip will yield more everywhere-you-look creekside finery. Take a swinging bridge across Big Cedar Creek — a Virginia state scenic river — then walk to Big Falls, a creek-wide cataract. From there you can continue on the Pinnacle View Trail to gaze up at Pinnacle Rock jutting into the sky or make the climb to the top of the rock and peer down at lands spreading below. Climb up the attractive Rowland Creek Valley to even more attractive Rowland Falls. Crest out at the Old 84 Trail and make a high country traverse in the shadow of Double Top and Round Knob to Jerry Creek, where the path takes you down quickly, then moderates, before completing the loop. The climb up Rowland Creek valley is steady, but never too steep. 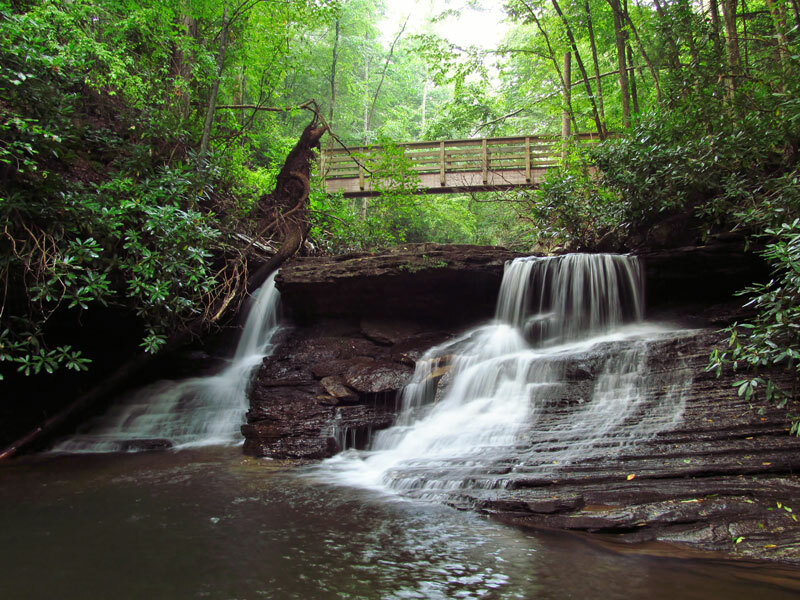 Hike through an incredible gorge where Devils Fork carves a canyon with boulder fields, cliffs, cataracts, and of course, the Devils Bathtub, all shaded by an immense forest. However, to see this beauty you will have to make over a dozen stream fords, leaving it a warm season destination. You will be amply rewarded with not only with all the above-mentioned beauty but also the deep swimming hole with its aquamarine depths that chill to the bone. 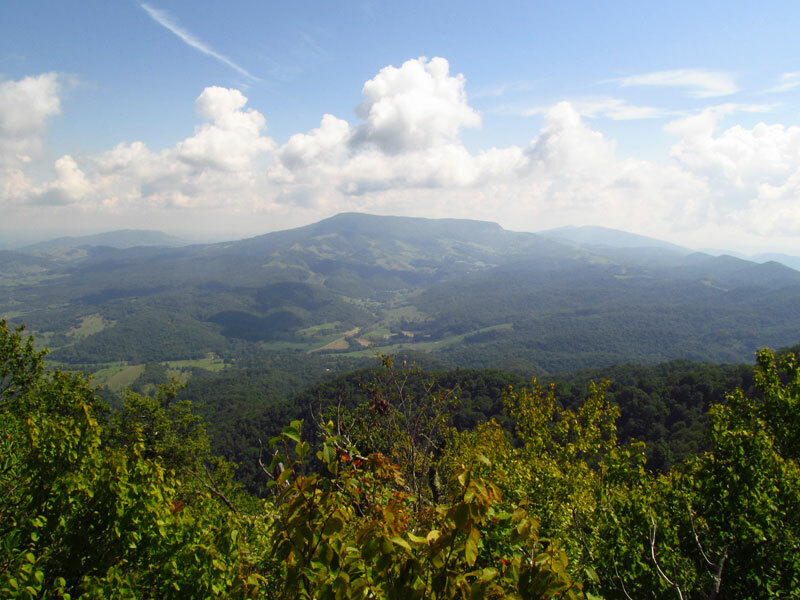 Hike to Middle Knob atop Clinch Mountain to capture incredible mountain views from multiple rock outcrops in the shadow of a retired fire tower. Then enter the Channels, a maze of slender paths running between, around, and under huge sandstone monoliths. This Virginia natural area preserve deserves it protection and is one of the most unusual rock formations in the entire Appalachian range. 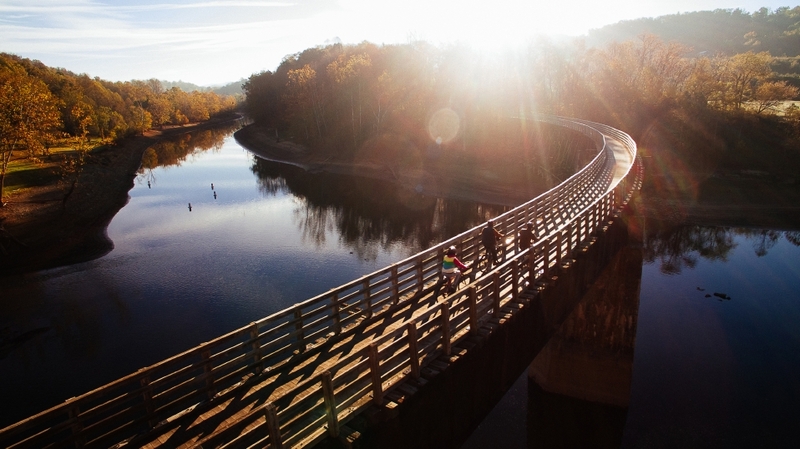 The mountainous terrain caters to mountain bikers in Southwest Virginia but also offers pedaling opportunities for bicyclers who favor rail trails. The Spearhead Trail system has paths aplenty for mountain bikers as does Mount Rogers NRA. Rail trail enthusiasts can enjoy the 34 miles of Virginia’s famous Virginia Creeper Trail, as well as the scenic Guest River Gorge Trail. The 8.5 mile one way Wilderness Road Trail adds another place for recreational bicyclers to pedal. This rail trail unites history and natural beauty in a rugged highland gorge. First pass through the Swede Tunnel, then cross the Guest River – a Virginia State Scenic River — on a high bridge. Continue down the cliff and bluff-rimmed canyon, viewing giant streamside boulders. Pass your first waterfall, then come to a stair-step cascade set in a rock-rimmed glen before the trail’s end at the where the Guest River meets the Clinch River. Backtrack. The Coal Canyon trail system features an interconnected network of paths heading to highlights such as overlooks and hollows, traversing mountain lands of meadows and woods. These doubletrack Coal Canyon trails are a little more family-friendly than some other Spearhead Trails, therefore are more suited for mountain bikers wanting to get their feet wet here. 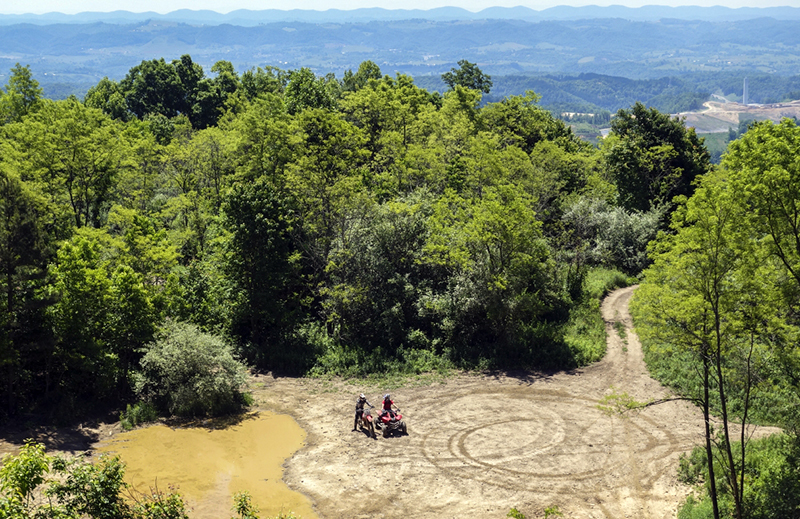 These trails are also open to off-highway vehicles. The greater Spearhead Trails system presents many more miles of trails spread over multiple networks, all open to bikes. Head away from Scales on the Crest Trail and immediately gain views of the high country. Climb to Rhododendron Gap, passing numerous other paths. Descend a bit past Rhododendron Gap and intersect the Rhododendron Gap Trail. Turn left on the Rhododendron Gap Trail and head through some rocky sections through which you may have to walk your bike. The pedaling eases upon intersecting the wider Virginia Highlands Horse Trail (VHHT). Take the VHHT down into Big Wilson Creek and more views before climbing back to Scales. Get a shuttle to the top at 3,400 feet then enjoy this almost all downhill run on the Virginia Creeper Trail. The ride starts high and descends to Whitetop Laurel Creek, crossing numerous trestles along the way. Doable by almost anyone who can ride a bike, even kids. A must-do Far Southwest Virginia activity. This section has a more pastoral feel than the upper section of the Virginia Creeper Trail. From Damascus, the Creeper passes by many homes, where there are gates to cross. And there is plenty of scenery to enjoy, as the trail descends alongside Laurel Creek and the South Fork Holston River. Turn around at the long and high trestle that spans the confluence of the South and Middle forks of the Holston River. 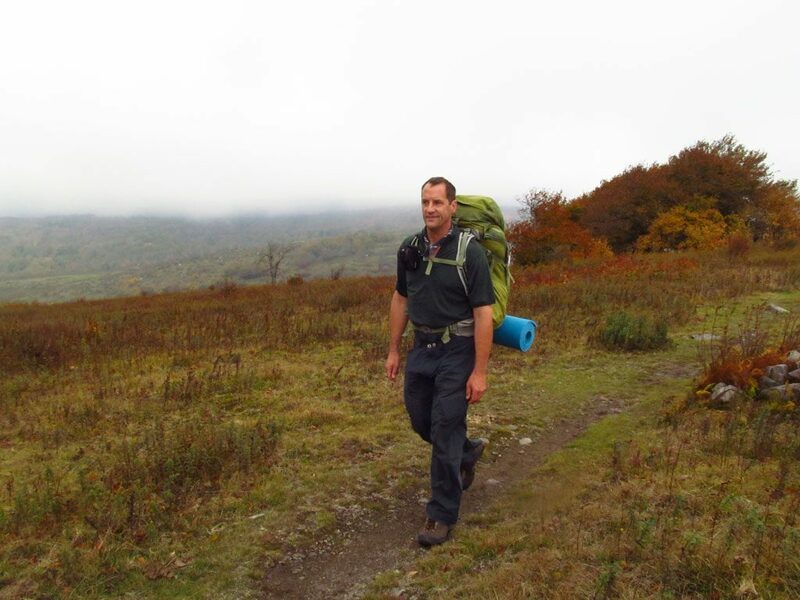 Not only does the Appalachian Trail provide 110 miles of continuous backpacking path in Far Southwest Virginia but also other long distance paths for linear trail treading. Looking for a loop backpack? Mount Rogers National Recreation Area is the place for you. 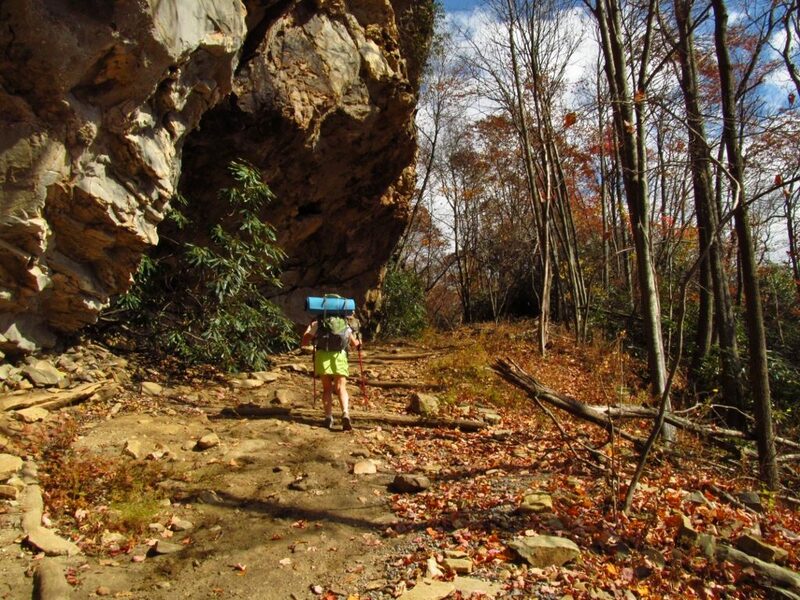 Here are some suggested backpacking trails in Far Southwest Virginia. Pass a host of highlights at Virginia’s westernmost national park. Leave historic Pinnacle Overlook on the Ridge Trail, which runs atop Cumberland Mountain, presenting views aplenty while trekking the state line dividing Virginia and Kentucky. See the historic Hensley Settlement, a once isolated community, now preserved. Beyond, visit massive Sand Cave and its waterfall, then soak in a commanding panorama from the White Rocks. Designated campsites and even a backcountry cabin take the guesswork out of where to camp. The mostly downhill end-to-end backpack explores a lesser-visited parcel of Jefferson National Forest. Highlights begin at a restored observation tower with 360-degree views. Descend to Stony Creek, passing a small lake and campground. Keep in the scenic valley then climb over a ridge then join Little Stony Creek Valley, hiking along Bark Camp Lake. Ahead, major waterfalls await as the backpack traverses the magnificent Little Stony Creek gorge. A network of pathways centered by the Appalachian Trail traverses Virginia’s loftiest lands, including the state’s high point of Mount Rogers. 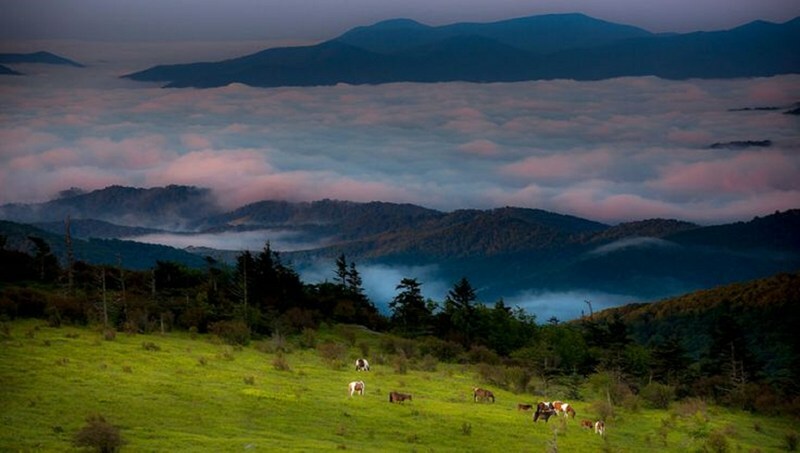 While up here, you can backpack through Lewis Fork Wilderness, Little Wilson Creek Wilderness, and Grayson Highlands State Park. Meadows and outcrops add to the spruce-fir forests. This backpack trail straddles rugged and remote Pine Mountain, forming the border between Virginia and Kentucky. The first several miles are exclusively in Kentucky before joining Virginia at Stateline Knob. Grab an astonishing view from High Rock and revel in the panoramas and intriguing geology at Mars Rock, as well as Eagle Arch. More overlooks can be found, including Twin Cliffs. In places, the trail traverses bare rock. The trek continues 20 miles beyond the US 23 road crossing at Pound Gap. The Pine Mountain Trail’s northern terminus ends on the banks of the Russell Fork near Breaks Interstate Park. The path is well marked and maintained. 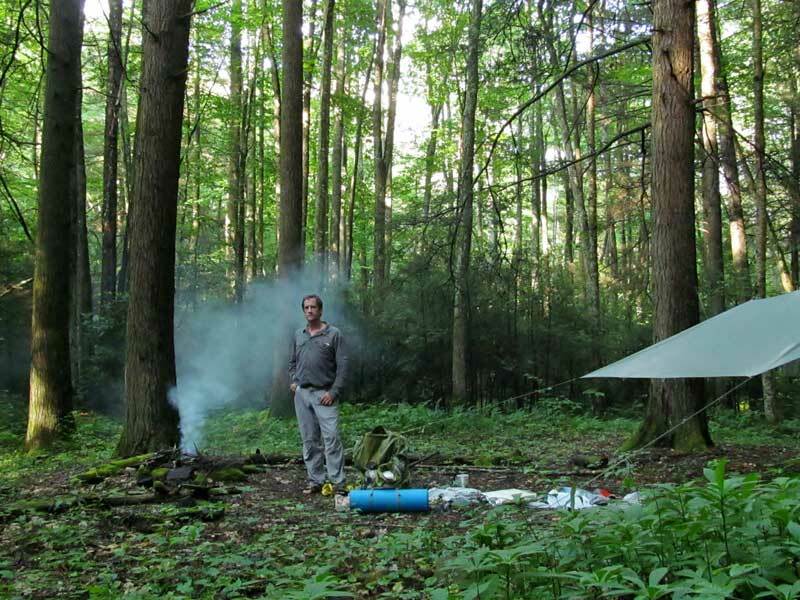 Trail shelters and designated campsites enhance the end-to-end adventure. 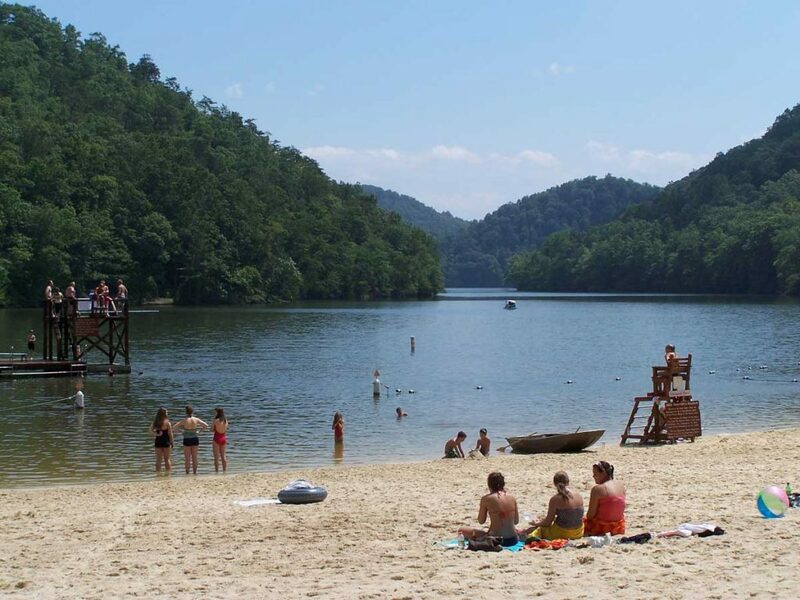 Campgrounds are located throughout Far Southwest Virginia. Choose your overnighting venue of choice and you can extend your visit. Pitch your tent in a fine campground and explore Cumberland Gap National Historical Park’s history over its extensive trail system. The 160-site campground is sprawled on a heavily wooded sloping ridgeline. Some sites have electricity and present every possibility of sun and shade combinations. And with such a large underused campground, there is never a reason to camp next to anyone. You can almost always find a site with no one around. Three full service bathhouses serve the campground. I recommend visiting the park during spring and fall, as summer can be hot and there is no water recreation. Hungry Mother, one of Virginia’s original six state parks, features two in-park campgrounds and another one mile before the main park entrance. Creekside campground is for those seeking water and electricity at their sites while Royal Oak campground has 11 sites for tent campers only. No electricity, but there is a bathhouse here, as it is with all three camping areas. Camp Burson has 30 campsites with electric, water, and sewer hookups, but you must drive to get to the main park facilities. Grindstone is a well-kept, well-maintained campground in a northern hardwood forest at the base of the Mount Rogers high country. A large flat at the upper end of the Laurel Creek is the setting for this shady old-time camping area. Mount Rogers lies directly to the south and the Iron Mountains are to the north. Outdoor enthusiasts cannot help but like this place, as there are more than ample trails all around this high valley. Grayson Highlands State Park is a gem in the Virginia state park system, and the campground matches the high standards such a park should have. Located on the shoulder of Wilburn Ridge in the high country just a few miles from Virginia’s highest peak, this campground will suit both tent and RV campers seeking cool relief from summer heat. A relaxed atmosphere nearly guarantees a welcome respite from the stress of day-to-day life. The camping area is stretched out along three interconnected loops. Some sites are primitive, while others have water and electricity. Two bathhouses serve the camp. The park also has a separate equestrian campground. Paddlers have both flatwater and moving water options in this part of the state. Those favoring longer river trips involving camping can ply the Powell and Clinch Rivers. Multiple put-ins and takeouts make day trips possible as well on these rivers. Whitewater river enthusiast can tackle Whitetop Laurel Creek, upper Clinch River, and big water Russell Fork. Still water paddlers have some of the most scenic lakes in the state, nestled in the bosom of the Virginia highlands. The North Fork of the Holston River offers excellent paddling with Class I and Class II rapids. Parallel ridges flank the scenic stream. Adventure Mendota Outfitters operates on this lesser visiting hidden gem of a waterway, making adventures on the North Fork as easy as book a reservation for a five mile natural experience. Their motto is “Get off the grid and on the river”. The waterway is gentle enough for even complete novice paddlers to captain their own kayak. This is intimate mountain lake paddling at its finest. Almost entirely ringed in wooded natural shoreline, 154-acre North Fork of Pound Lake is set deep in the Jefferson National Forest. Pine Mountain forms the primary backdrop to the lake, while lesser mounts frame the rest of the stillwater. A canoe/kayak launch is located near the dam, while another launch is located near the uppermost part of the lake. 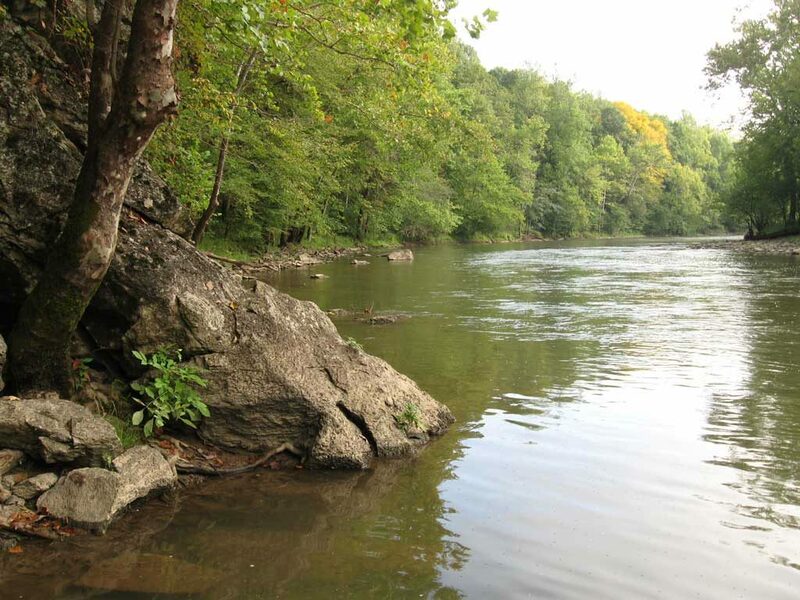 The uppermost Clinch, above Cleveland, is for whitewater paddlers, but overall the river is suitable for canoes and kayaks the balance of the 135-mile journey through Virginia. Development of a water trail for the Clinch is underway. Access points are abundant. 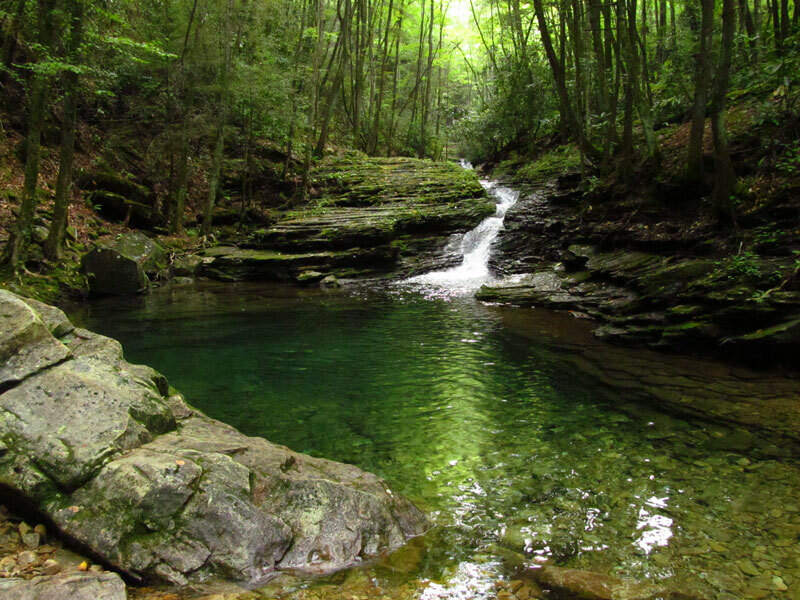 Long pools provide scenery watching spots between frequent shoals. An outfitter — Clinch River Adventures – operates in St. Paul. Flannagan Reservoir features 1,143 acres of clear water bordered by tree-covered hills and hollows. Fifty miles of shoreline take the form of long fingers and embayments, making for comfortable paddling. The two uppermost lake arms – Pound River and Cranes River, feature narrow, twisting paddle routes rich with scenery, deep water and secluded coves. Both lake arms have convenient launch sites as well. The Paddle: One of Virginia’s very first state parks, Hungry Mother also contains one the state’s prettiest impoundments. Hungry Mother Lake, ringed in highlands and circled by a hiking trail, covers 108 acres. No gas motors are allowed, keeping the beautiful scenery free of motor noise. The park rents, kayaks, canoes, paddleboards, and paddleboats, making it easy to launch and explore the slender reservoir fed by highland streams coursing off the hills above. Whitetop Laurel Creek near Damascus offers classic whitewater creek boating as kayakers twist and shout between timeworn boulders, over falls and around islands. The drops come one after another, Class II-III water. 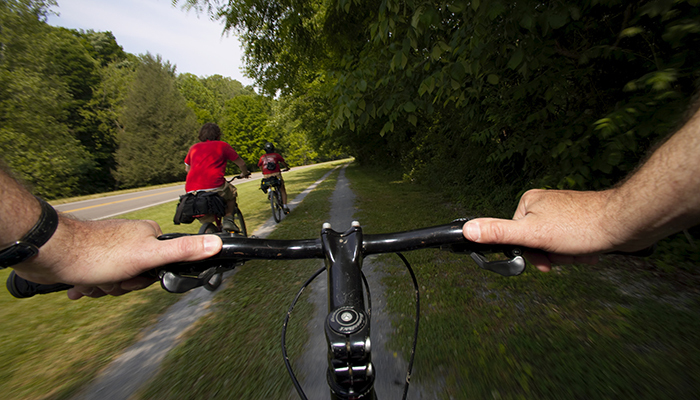 Use the Virginia Creeper Trail for a bike or foot shuttle. 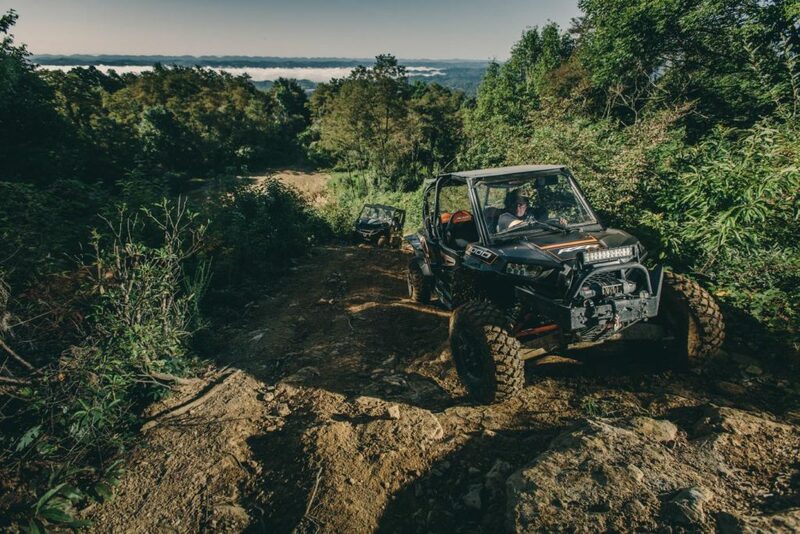 Far Southwest Virginia is home to the state’s best and most comprehensive trail network for motorized trail vehicles from ATVs to motorcycles. The Spearhead Trails network is comprised of five different areas where not only OHVs, but bicyclers and hikers can explore. And we’re talking well over 300 miles of trails! That is a lot of territory to cover. The routes befit a variety of skill levels, with trails for everybody from beginners to experts. Ridgeview presents 60 miles of track opened in April of 2017. This scenic web of paths traverses a mix of open ridgetops as well as forests. Starts at Kiwanis Park in Haysi. The 100-mile Coal Canyon trail system features an interconnected network of paths heading to highlights such as overlooks and hollows, traversing mountain lands of meadows and woods. The 30-mile network of Stone Mountain Trails is more technical riding, passing overlooks, caves, and river accesses as well as challenging ascents and descents. 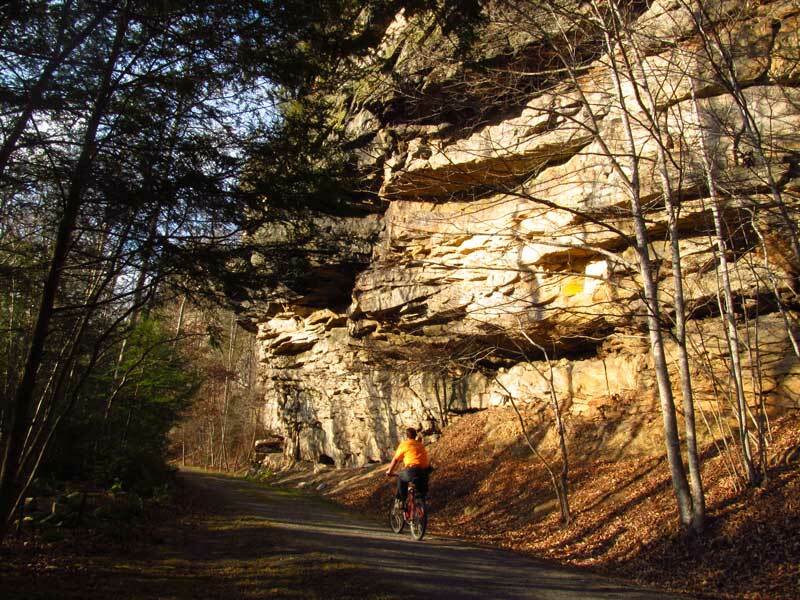 The Original Pocahontas has more than 60 miles of deep woods trails, as well as some trails offering mountain views. Stop here and visit the Pocahontas Exhibition Mine. The Mountain View trail system contains over 100 miles of trails located near St. Paul. Enjoy wooded sections and steep tracks for hard-cores. They even have ten miles of singletrack trail for dirt bikers.